FashionPro comes with the industry-specific buying meeting module to suit for the distributor, resellers or franchisee nowadays. 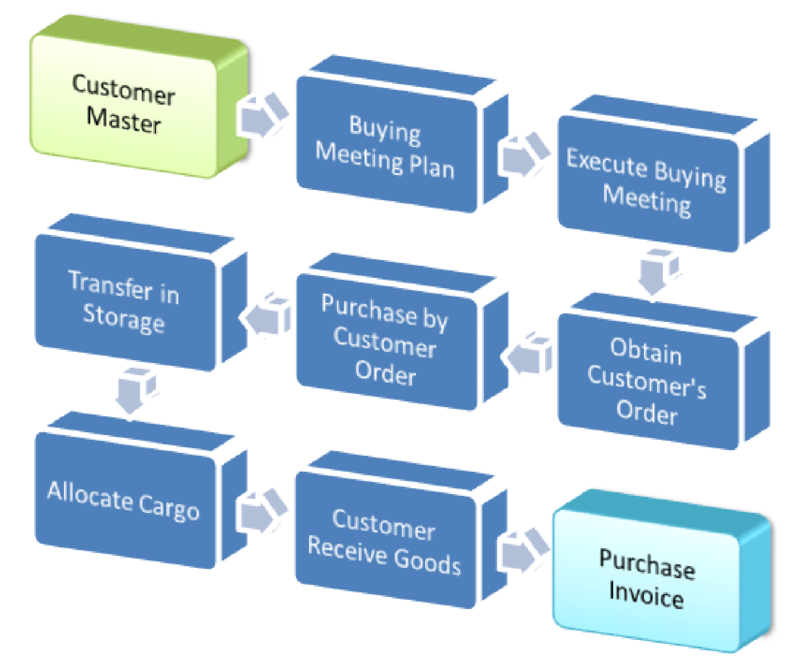 The buying meeting system is designed with order capturing capability with the product image lookup, suggested selling items, then provide the sales contract and the delivery schedule . The buying meeting module is well integrated with the FashionPro core system for purchasing consolidation and the order delivery. In FashionPro, various types of customer have been provided and identically managed in great effect. At the same time, the function of different concessionary rate can be input to different customers is provided by FR system. When the customers are finished with placing an order and click the submit button in FR system, this order will be immediately transferred to the Central system and the central company can process purchasing and allocating directly. Furthermore, the FR system can also centralize all different order forms and process dividing-process by different outlet and region. In order to achieve a more convenient product-query, a product gallery has been added in the buying meeting module. In that way, a more directly way to view product appearance can be provided for us to offer marketing suggestions, marketing contract and even delivery date. On the other hand, buying meeting is combined with FashionPro's core system so data can be imported into system via a terminal which is provided by the PDA linking function. This makes our customers enjoy our one-stop services. Meanwhile, a spot-order input is provided by buying meeting system with Excel import supported. This can make our customers bring their personal laptop to our Store and input data timely and precisely as they want to. Our customers can do the ordering analysis right in the Store and the analysis system can illustrate how logically that the customers purchase products by offering plenty ways to do the analysis such as style sorted, delivery-time sorted, class sorted and so on. In the meantime, style batch changing, order tracking and many other services are also available.